An interview with Keith Carron, conducted by Stuart Milne, BA, and James Ives, BSc. Safety is the primary concern for first responders and military personnel when they arrive at a scene with unknown, potentially hazardous materials. 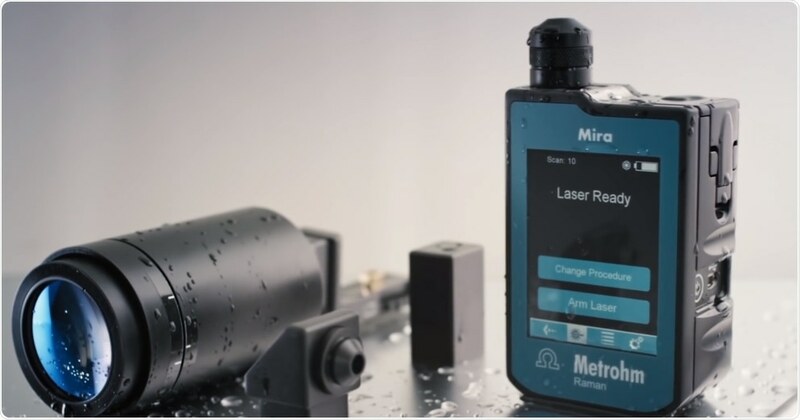 Keith Carron, CEO CEO/General Manager of Metrohm Raman, talks shortly after the release of Metrohm’s new Mira DS handheld Raman Analyzer, which provides a new level of safety and assurance when identifying unknown substances up close or from a safe distance of up to 1.5 meters! Raman Spectroscopy for Military and First Responder Applications from AZoNetwork on Vimeo. How is substance identification through Raman spectroscopy used by our first responders and by the military? What substances can be identified with Raman spectroscopy? First responders will arrive at a scene where perhaps an accident or incident has occurred, or where there's an unknown material they want to identify to see whether there's a public health hazard. Generally, this is a reactive situation, responders are reacting to an issue that has occurred. The military application can be different, namely, more proactive. There may not be a spill, but there may be something that the military personnel are searching for in particular, for example in areas such as at a terrorist site. Raman spectroscopy works by measuring the vibrations of a molecule using a laser. These are unique for each molecule, allowing us to identify a wide range of chemicals, we call it a fingerprint technique. When a Raman spectrum is acquired, this spectrum can be added to a library of spectra. You take your unknown spectrum and search the library for matches, based on that you can identify unknown materials. What advantages does Raman spectroscopy provide for forensic analysis over other chemical identification methods? There isn't one technique that will do everything, but Raman does have advantages over some, a big one being the ability to look through containers. Raman uses a visible laser that can detect a target if you can see it, but it won't shoot through a Coke can and perform miracles. You can't look through an opaque layer but if it's a clear layer, like glass or clear plastic or even a brown bottle, Raman works quite well. It also conveys a high level of information content; from our libraries containing 14,000 different compounds it can identify each of those uniquely, because each spectrum is unique like a fingerprint. Please describe the new Mira DS Raman spectrometer, and its new features and sampling accessories that set it apart. I've been working in Raman for 38 years and one of my companies made the first handheld Raman analyzers back in 2004 after the 9/11 events. We put a lot of that technology into the Mira DS. However in this latest model, we’ve removed all of the skill required to take a Raman spectrum, including the focusing and determination of parameters, with what we call Smart Acquire. This technique makes it much more accessible and easy to use, which is essential in high pressure and potentially dangerous situations. The Smart Acquire technique can take as many as 14 short acquisitions to determine the best parameters to use, to identify the unknown substance. We adjust for factors like fluorescence and signal strength, so for example, if there’s a weak signal we acquire data for a longer time. A lot of flow and analysis goes in before we take the spectral acquisition with the Mira DS. Our range of accessories are also unique. We have a universal adapter to accommodate acquiring spectra through a bottle or clear plastic, or to simply set it on a powder. We have a right angle accessory that allows you to set the unit down on top of a surface and take a spectrum, the system also allows you to set a delay and run if you're afraid the sample is going to explode! We have a no-focus ball probe mounted on a stainless-steel rod suitable for dipping into spills, for example. It’s very easy to clean and useful for fire fighters. Finally, we have standoff attachments, one of which can take a reading from 1.5 meters, which provides an extra level of protection. This can also be useful for covert scenarios, for example if you entered a covert lab, spectra can be taken without coming into contact with the material, or even being that close. Safety is an important consideration when doing such risky work, how does the Mira DS allow its users to stay out of contact with unknown substances? The ball probe is around 15 centimeters, long enough to be inserted into a solution without you coming into contact with it. A protective sleeve can be used to stop contamination and aid cleaning of the probe. We have the true standoff probe, a telescope that would allow a responder to examine a house suspected of containing drugs or explosives just by looking through a window or doorway to acquire data. Smart Acquire is the final safety feature. Rather than concerning themselves with acquiring and getting the spectrum, first responders simply press a button which allows them to be cognizant of the environment, which could very well be hazardous. While safety is important, how do you maintain accurate measurements with the different sampling accessories? We produce another instrument for the pharmaceutical industry which is highly regulated and we take great care that it is extremely accurate and precise. We've been able to incorporate a lot of that technology into the DS as well. When you turn the Mira DS on, you calibrate it, which improves accuracy. However, this can be overridden in an emergency. We also have systems that check the calibration so you can simply shoot a sample to verify that it's still working properly. How can substance identification through Raman spectroscopy be completed from such a large distance? Raman scattering drops as a factor of the distance squared, so the further away you are, the greater the loss of the Raman. It's a square relationship so with a short focal length and close distances the lenses used are very small. While with the standoff adapter, the lens is quite large which compensates for the distance. What types of explosives and illicit substances can be identified using this method? There's really no limit. All explosives, drugs and illicit materials should be detectable with Raman. We also know that many substances will be mixtures, drugs, for example, can be dirty, containing plant material or cutting agents. We have tried to counteract false negatives by pairing substances, so if one is found it will suggest searching for another. One example of this is sodium bicarbonate, which is a well-known cutting agent of cocaine, if sodium bicarbonate is detected the system will suggest searching for cocaine. Fluorescence can pose an issue, however. We’ve also encountered explosives that cause florescence, which is a situation that we are working on at the moment. How did you make the Mira DS easy to use? Do you need any scientific training to interpret the results? Over 14 years of making handheld Raman systems, we've learned from talking with customers that go into the field and listening to their needs. They’ve told us what makes it easy to use, such as eliminating the need to determine the acquisition time and focus required. One push of a button and you get the answer, which we deliver very clearly. For a hazard the screen goes red, and if it's not a hazard, it's green. If it's in between, like an over the counter drug or a cutting agent that could be used in something bad, the screen turns yellow. We've really thought through how to present the information accurately and quickly. How large is the library of reference materials that the Mira DS can check against? Are there plans to expand this in the future? The illicit library features a little over 1,000 compounds, including both explosives and drugs. We allow the customers to make their own libraries. Sometimes a smaller library can be beneficial. On the other hand, if they're first responders reporting to an incident and they don't know what to expect, we have a 14,000 component library that we purchased from ST Japan. We can cover a range of library types, from large libraries down to small very specific libraries. What is the future of the Mira DS Raman spectrometer? I think the future is good. For the basic platform and these attachments, we're estimating an 8 to 10-year lifetime, but we have further features to add. The first is Surface Enhanced Raman (SERS). Diagnostic AnSERS, a company we purchased last year, print strips with a HP printer that enables trace detection and helps with florescent samples, which will be available for purchase within the next two months. 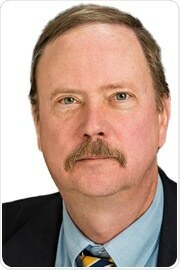 Keith Carron is CEO/General Manager of Metrohm Raman in Laramie, Wyoming. Dr. Carron has work in the field of Raman spectroscopy for 38 years and has developed commercial Raman instrumentation for the past 24 years. His work in Raman spectroscopy began while in graduate school at Northwestern University and continued as a postdoctoral fellow at the Swiss Polytechnic Institute in Zurich, Switzerland and as a research professor at the University of Bayreuth in Germany. Dr. Carron became Professor Carron in 1988 when he joined the faculty of the Chemistry Department at the University of Wyoming and he continues as an Emeritus Professor after his retirement in 2015. During his tenure at the University of Wyoming, he founded Detection Limit in 1994, DeltaNu in 1998, and Snowy Range Instruments in 2009. In 2016, Metrohm acquired Snowy Range Instruments to create Metrohm Raman. Throughout his career Dr. Carron has worked toward development of small (handheld) and affordable Raman spectrometers. Dr. Carron has won many academic and industrial awards; in 2009, he was awarded the Chemical Pioneer Award for his development of handheld Raman instrumentation.